You are here: Home » Featured » Will Advancements in IVF Ever Lead to Acceptance By the Church? 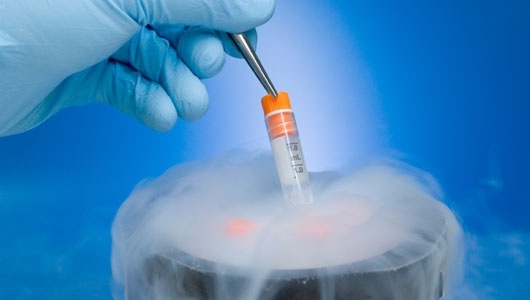 For many years now, pro-life leaders have pointed to the massive loss of life that comes with in vitro fertilization (IVF) as one of the key evils of the procedure. Additionally, the extreme cost of the procedure, the likelihood of multiple embryos implanting resulting in selective reduction abortions, and health risks to both mother and child have all added to the concern around the procedure: a procedure that, in the eyes of the secular world, seems totally pro-life. In typical IVF procedures the woman is given drugs to hyper-stimulate her ovaries to produce ova (eggs), which are then fertilized with sperm. Often more than 20 embryonic children are created and attempts are made to implant them into the womb of the mother, two, three and four at a time. The live-birth rate after IVF is under 30%, and most often the left-over embryos are never given a chance at life. Thus the loss of life is staggering. However, times are changing. New advancements in IVF have drastically lowered the cost of the procedure, with scientists now proposing a discount version for developing countries that they say would cost a mere $300. Furthermore, new screening tests for IVF-created embryos can triple the likelihood of a live birth after a embryo transfer, thus potentially lowering the loss of life associated with the procedure. What if, one day, science could achieve IVF without the loss of even one embryonic child? What if only one embryonic child were created and implanted and came to live birth? Could the Catholic Church then approve of IVF as a means of helping couples who have trouble conceiving to have a child of their own? Bishop Ignacio Carrasco de Paula, a member of Opus Dei, was appointed as president of the PAV by Pope Benedict XVI in 2010. Bishop Carrasco told LifeSiteNews.com that the question was already raised in the 80’s by at least two Catholic European Universities. “This problem was called ‘simple case’, that is, fertilization of a single embryo and transfer of this single embryo in the womb,” explained the PAV President. The instruction envisions a case where every other negative aspect of IVF is controlled for. The sperm and egg donors are a married couple, unable to conceive normally. Even the problem of procuring sperm by masturbation is eliminated and we are left with the ‘simple case.’ And still the Vatican says that the Catholic Church could not condone the procedure. With over 5 million children born to date using IVF procedures, the loss of life is well over 100 million. However despite the ethical problems with the procedure, the Catholic Church is quick to note that those children born of the procedure are to be loved and accepted. Instead of IVF, the Catholic Church promotes a solution for infertility that avoids all of the pitfalls of IVF and gives the same benefits. NaPro technology, a method pioneered by Catholic physician Dr. Thomas Hilgers has helped countless women to achieve pregnancy in the midst of perceived infertility. The method is safe, natural, respectful of the dignity of the human person, and has a success rate equivalent or better than that of IVF.